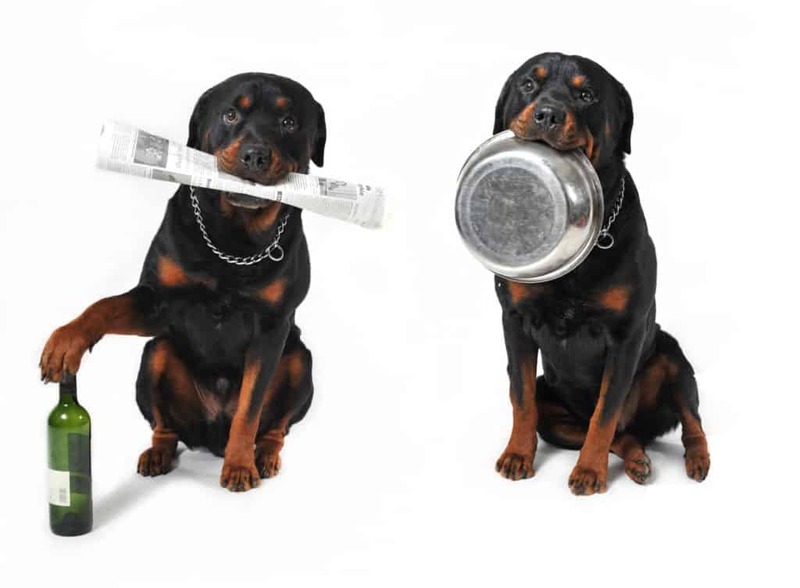 Curious about what dog or puppy food your Rottweiler should be eating? Your dog or puppy was originally bred to pull carts and drive cattle, so it’s no surprise your best friend is built to eat A LOT. Deciding on the best dog food for your Rottweiler is a super-important task that needs to be done while your dog is still a puppy. 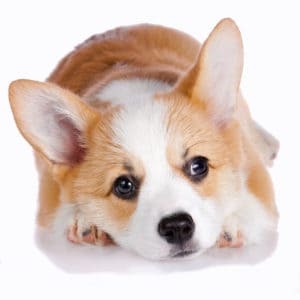 Getting the right food for them is as important as providing shelter and getting the right insurance for them from places like https://www.petsbest.com/pet-insurance-cost. Rottweilers grow way faster than other breeds and can reach an average of 110-130 pounds in total for males. That’s the size of a healthy 14 to 15 year old boy!The best food for Rottweilers will change throughout their lives, meaning Rottweiler puppies need different food from grown dogs. With all this in mind and because we just can’t resist our best buddies, we’ve searched the internet and talked with dog and puppy experts to do all the hard work for you. Hopefully, we can help you understand how to pick the best food for Rottweilers and the best dog food for your Rottweiler puppy. What’s in the best Rottweiler food? How much should I feed my adult Rottweiler? How often should I feed my mature Rottweiler? What food should I feed my grown-up Rottweiler? How much should I feed my Rottweiler puppy? How often should I feed my Rottweiler puppy? 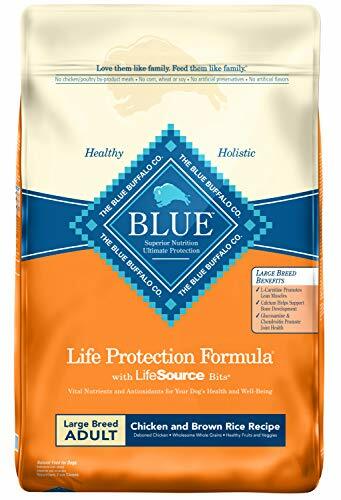 What dog food is best for my Rottweiler puppy? Should I be switching up my Rottweiler’s dog food brands? How do I know if my dog happy with his food? Like all dogs, Rottweilers are carnivores and get their nutrients from protein. Choosing the right dog food or the best Rottweiler puppy food involves a whole bunch of other factors, and we’ve grouped these for you into 3 main areas to help you pick the best food for your best friend. When choosing food for Rottweilers, avoid dog foods that are vague with their descriptions. The best dog food for Rottweilers will be clear about whether it’s based mostly on chicken, beef, lamb or other meats that are protein-rich, rather than a product claiming only to be made from ‘meat product’, meal or by-products. It’s also common for lower-quality dog foods to be packed with fillers like grains and wheat or corn starch as these are a cheap way to make up a dog food product. It’s better to avoid these as dogs in general, and your Rottweiler especially, simply don’t need the carbohydrates. Aim for something with higher amounts of poultry, fish or lamb rather than risking your dog or puppy’s health. The best Rottweiler dog food will vary in price range like any other product, with the most expensive brands often being made from select ingredients like organic or locally-bred meat. The less chemicals that go into raising the protein the better, as your Rottweiler should be fed a healthy diet to make sure he doesn’t develop allergies or get bloated and unhappy. We already know Rottweilers need protein to grow big and strong. Obviously, these boys are going to need a lot of calories, too! So while the first thing you look for on any dog or puppy food label is 25% or more protein, they also need to get their remaining calories in a healthy way. That means finding the best food for Rottweilers or the best Rottweiler puppy food, which will have a higher protein content than ordinary dog food. Both wet and dry foods have pros and cons. There isn’t a one ratio that will be best for your Rottweiler or puppy, but what’s important to remember is that Rottweilers won’t always drink all the water they need for optimal physical function. 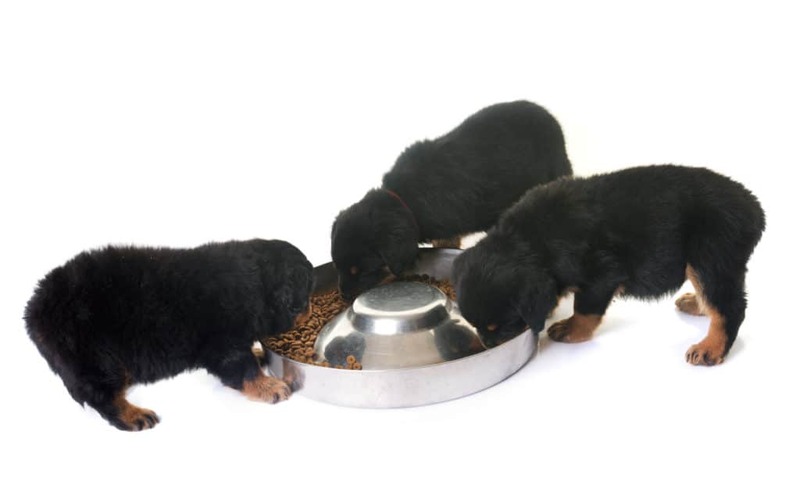 Rottweiler puppies who don’t drink enough water may not be getting enough liquid and it’s good in these cases to give a mix of wet and dry food to them at mealtimes. Older dogs and those with dental problems may also struggle with even the best dog food for Rottweilers if their dry kibble is too crunchy. Your dogs preference for wet or dry food will depend very much on factors like age and their unique feeding habits, but as his owner, you’re in a great position to take note of these things and switch up his wet and dry food ratios as he needs. While picking the best food for Rottweilers means thinking about the nutrients they need, it’s really crucial to make sure you aren’t overfeeding your grown Rottweiler as these dogs can easily become overweight and obese. To avoid health problems, it’s recommended you don’t skimp on quality, and be very aware that our beautiful buddies will often overeat if left unsupervised. An ideal amount to feed your mature Rottweiler is between 4-10 cups of dry dog food a day, but remember this will vary based on things like age, daily activity and exercise, metabolism and size. Male Rottweilers are usually larger than females who tend to stop growing at around 85-115 pounds, so female dogs will need a bit less. Just like humans, each dog is different. It’s a great idea to experiment with different dog foods at first, keeping an eye on your Rottweiler’s reactions, to see what suits you both best! Bigger Rottweilers are happiest and healthiest on a regular feeding schedule, and twice daily mealtimes are a great way to feed your loyal sidekick. It’s important to remember with mature Rottweilers that morning and evenings at the same time daily is best. Like us, they get hungry right before mealtimes, so to prevent overeating and bloating a schedule is super important. Keeping a good eye on your grown-up Rottweiler means watching for signs of over-full tummies, flatulence, tiredness and weight gain or loss. Even the best food for Rottweilers should absolutely go side-by-side with enough exercise for your dog to be physically and mentally stimulated. We’ve searched the market for brands meeting our super high standards. And even better, we’ve made sure each dog food meets our criteria for quality, nutrients and all-round healthy adult dogginess. Formulated specifically by nutritionists for Rottweilers, this dog food for Rottweilers is designed to support muscle development and physical health for larger dogs. We really like the idea that nutritionists are behind this Rottweiler-specific dog food and it’s awesome how the protein, fat and calcium content is designed for big dogs! The cons are, it includes a higher amount of meal fillers compared to other dog foods, at the expense of natural greens. The main ingredient in this Rottweiler dog food is deboned chicken, yum! It’s also made with specially designed bits that pack in antioxidant ingredients to help fight cancer. For grown-up dogs, the high moisture content is an awesome way to ensure a dry food diet isn’t contributing to dehydration if your Rottweiler doesn’t drink enough. The main chicken ingredient is a real plus and we really like that it packs in so many natural vegetables. 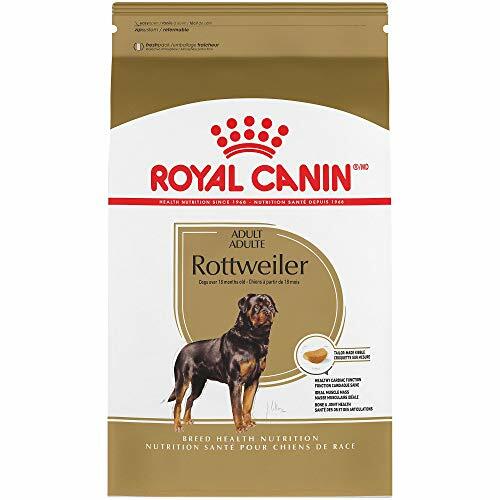 Royal Canin Breed Health Nutrition Rottweiler Adult30 Lb. Developed exclusively for Rottweilers over 18 months old, this dog food is at the premium end of the market. 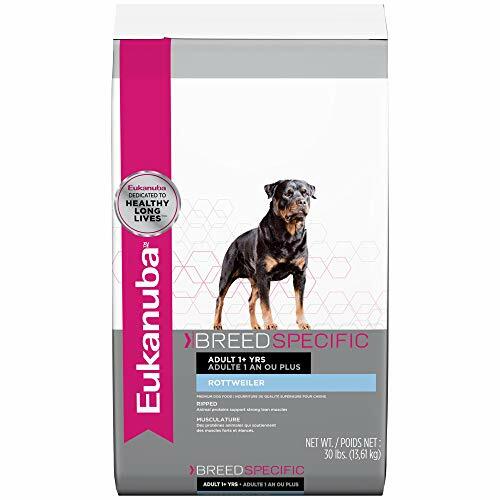 From kibble size to extra nutrients it’s aimed directly at our Rottweilers’ specific needs. While it has a higher meal and grain content than other dog foods, the kibble size, moisture content and overall protein profile still make this one of the top dog foods we looked at. Plus, it’s designed specifically for our Rottweilers! Baby Rottweiler puppies can come just under 12 ounces when newborn and grow rapidly to reach between 5 and 8.6 pounds by the time they are 4-5 weeks old. It’s important to know your Rottweiler puppy will reach his full adult height a while before he’s fully at his adult weight. While this means your puppy might look a little lanky for a bit, it doesn’t mean overfeeding isn’t still a real problem. The right amount of puppy food for your Rottweiler is highly important. Too much of even the best Rottweiler puppy food can actually slow down his growth and lead to a bunch of bone problems like hip dysplasia. Whether your Rottweiler will grow to be big or really big relies a lot on genetics, so unless you’ve been lucky enough to meet his parents, it’s likely you’ll be using general guidelines for your Rottweiler puppy. Most good Rottweiler puppy food brands will recommend serving sizes depending on their protein and nutrient contents, and it’s usually smart to use these as a starting point. Rottweiler puppies need lots more mealtimes than their parents or grown-up counterparts. 3-5 meals a day is a recommended amount of dry puppy food to give your little one if he’s under 4-5 months old. Once they reach this point, your Rottweiler puppy will need less frequent meals, 2 will be enough. By the time your puppy is 16 months young, he’s getting to be a whole lot bigger (yet still adorable!) and fully used to his new two mealtime routine. It’s super critical to keep in mind that every dog is different, and while most vets we spoke to agreed on these figures, a general guideline for a Rottweiler puppy’s daily intake is 2-3% of it’s desired body weight. If your puppy seems to be ignoring a meal or two but eating the others, it’s possible he simply doesn’t need to be fed so often. As his best friend, you’ll be able to keep an eye on this and switch up his mealtimes as you both see fit. The best puppy food for Rottweilers will be different from adult dogs, and it’s really important to make sure you’re giving your little pup the best start in life. 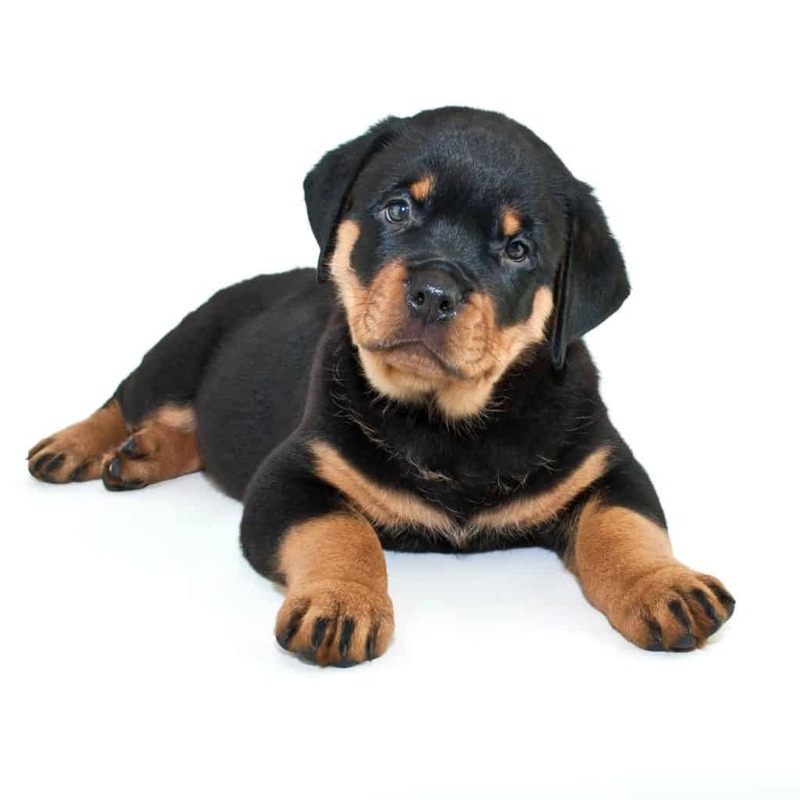 We’ve compared some of the best dog foods for Rottweiler puppies to help you start out. 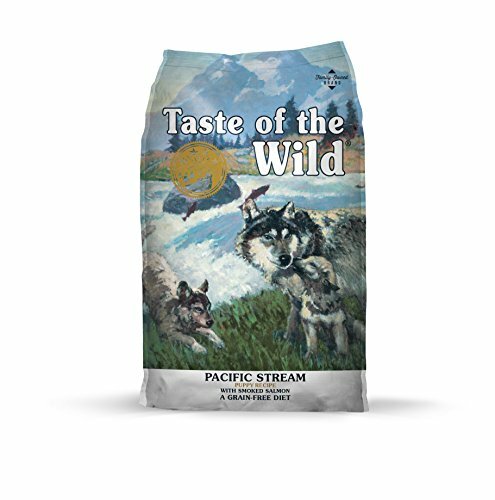 Taste of the Wild dog food is a salmon-rich puppy food that is family-owned and full of sustainably sourced ingredients. We love that the carbohydrates are mostly from sweet potatoes. While a little higher in fat than other brands, it’s high in DHA, making it the best puppy food for Rottweilers with egg or general allergies. 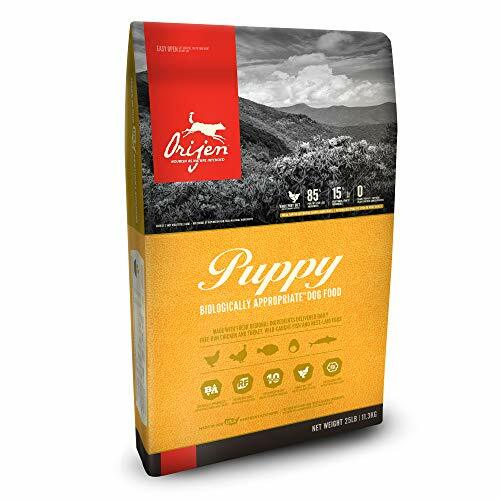 Based on the natural diet of dogs in the wild, Orijen Dry puppy food is commendably based on loads of fresh and dried meat ingredients. It’s really difficult to find a puppy food containing such high levels of natural meat, but Orijen has done it. It’s not suitable for dogs with egg sensitivities, but we’re incredibly impressed with this nutrient profile and think it’s one of the best foods for Rottweiler puppies. 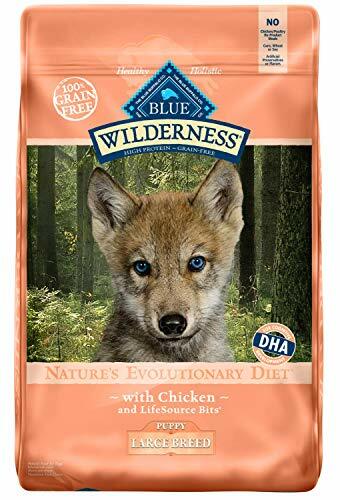 Because puppy food should help our Rottweilers grow up big and strong, BLUE Wilderness dog food contain no corn, wheat or soy and is free of by-product meals. We really like this dog food. As it contains egg though, it’s not suitable for Rottweilers who are egg-sensitive. The specially designed formula gives your dog an outstanding mix of all the nutrients we recommend. It’s cheaper than most brands yet balances all the factors we’ve considered especially important for healthy Rottweiler puppies. It’s a great idea to experiment at first while your Rottweiler dog or puppy tries out new dog foods. If you make sure his diet is based on quality ingredients and rich in nutrients, it should only be a matter of time till you can figure out what works best for him. Keep an eye out for things like tiredness, flatulence or bloating to get an idea of whether your Rottweiler might want to switch to another of the dog foods we’ve recommended, as each and every dog or puppy is unique. That’s why we love them! We’ve outlined the signs your Rottweiler may be happier with a different brand. Fortunately, if your dog is loving his kibble, you’ll be able to tell from his shiny, beautiful looking coat, regular consistency stools and good breath. A Rottweiler on a great diet will also be bouncy and energetic, shiny-eyed and full of zip! Hi My dog,Rottweiler is 7months old which of these dog food is good , Thanks.